Tata Steel’s latest branding campaign ‘We Also Make Tomorrow’, emblematic of the steel maker’s commitment to build a greener and better tomorrow, has added sparkle to its brand recall. An independent research done by Kantar, a leading data, insights and consultancy firm, shows Tata Steel’s brand recall scores featuring in the top 25 scores embedded in the database. The score was determined out of different studies related to campaign evaluation conducted by Kantar. The campaign that the surveyed people saw was in masked form where Tata Steel’s name did not figure. The study findings show the branding exercise resonated with the stakeholders and beyond with 98 per cent of people in the research campaign liking it. Beyond brand recall, Tata Steel’s image association with innovation and technology rose by nine per cent, a figure the company feels is of statistical import. The campaign’s digital impact is resounding too. Ever since its launch on September 26 last year, ‘We Also Make Tomorrow’ has garnered over nine million You Tube views. Across the web, the campaign drew in excess of 330 million impressions. The campaign more than held its own in the cluttered social media, delivering an engagement of more than six million. A special website curated for the campaign (www.wealsomaketomorrow.com) drew traffic of over a million. It’s after a hiatus of seven years that Tata Steel engineered a change in branding, replacing ‘Values Stronger than Steel’ launched in 2011 with ‘We Also Make Tomorrow’ unveiled in 2018. Chanakya Chaudhary, vice president (corporate services), Tata Steel feels the brand campaign needs to mirror the evolving aspirations of the stakeholders and align with the credo of the founder’s vision of sustainability with the underpinnings of innovation and technology. “Over the years, the aspirations of our stakeholders such as employees, investors, community, customers, suppliers, vendors, etc. have evolved and we have been conscious of that change. This campaign re-emphasises our thrust, focus and priority towards innovation and technology. The building block or the foundation is sustainability. Our strength, if I have to single out one, would be the strength of our Human Resources. The systems and structures that have been designed and have evolved over a period of time, only go to prove that we are here today and will surely contribute to make tomorrow”, Chaudhary told Business Standard. The groundwork for the campaign began two years back. Tata Steel took feedback from its wide cross section of stakeholders- vendors, communities, employees et al. While the surveyed respondents perched Tata Steel ahead of other corporate houses in CSR and community work, the company did not see a robust brand recall on the other parameters- sustainability, technology and innovation. The feedback goaded Tata Steel to evaluate the next theme of its campaign wherein a lot of engagements were internalised. The shift in the campaign’s focus comes at an opportune time as Tata Steel looks to consolidate its domestic steel operations and concomitantly position itself as a company that thinks and acts beyond steel. The steel maker has been juggling its greenfield ramp-up at Kalinganagar (Odisha) with revitalising the assets of Bhushan Steel and Usha Martin, companies Tata Steel acquired in insolvency resolution. “Tata Steel is right to highlight the credentials of our material as fundamental to tomorrow’s innovation, technology and sustainability. Steel has been the foundation of the last 100 years of progress and will be equally fundamental to meeting the challenges of the next 100 and beyond. As a material which can be recycled over and over again without losing its strength or any other properties, steel is fundamental to the new circular economic models of the twenty-first century”, said Edwin Basson, director general at World Steel Association. Tata Steel has been pitching steel as 100 per cent recyclable, totally sustainable commodity. 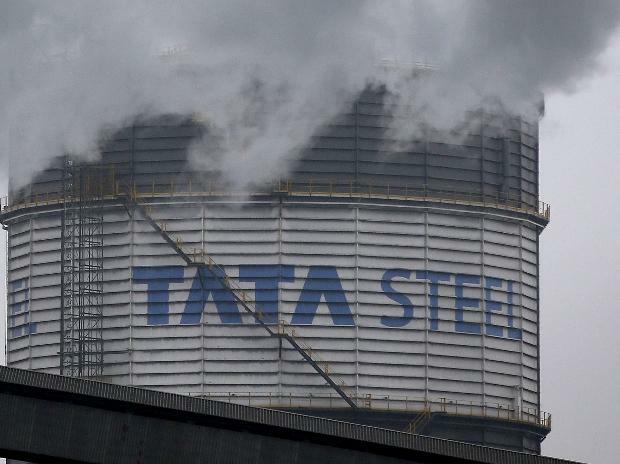 With the campaign touching everyone in its target universe, Tata Steel believes its bottomline will not be untouched and this will be manifested in its order books.